Canterbury and Otago both are taking part in ongoing season of Plunket Shield 2017/18. Plunket Shield is one of the first class cricket competition in New Zealand which consists of long format cricket. Each match consists of four days. Total ten rounds used to stage in each tournament of Plunket Shield. In the ongoing season which is the 89th season of Plunket Shield, already nine rounds have passed successfully. In the 2nd match of round ten, Canterbury faced Otago. In the match, Canterbury won by 95 runs against Otago. Canterbury and Otago both are potential teams in Plunket Shield and both of them tested the title of the tournament more than once. But in the ongoing season, both faced number of defeats and so, this time they would not laugh at the end. 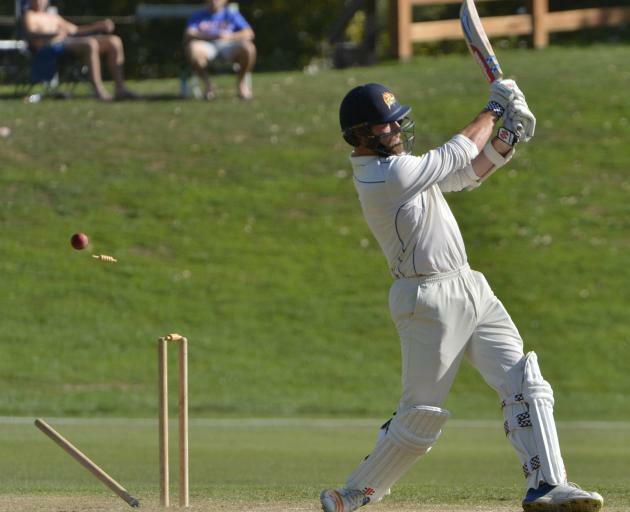 Canterbury lost their last match against Central Districts where Otago won their last match against Auckland. In that case, Otago was in form but against Canterbury, they could not win the match. The match between Canterbury and Otago was the 2nd match of round ten which was took place at University Oval, Dunedin. In 2nd April, 2018 the match started between them. In the match Otago won the toss and let Canterbury to open the innings with bat. Canterbury played almost good in the first innings. They scored total 225 runs in their first innings by losing all wickets. They played 74.3 overs where Chad Bowes scored highest 85 runs for the team Canterbury in their first innings. Matthew Bacon took four wickets for Otago. On the other hand Otago came to bat for their first innings. They played more good than Canterbury and took some lead of them. They scored 264 runs totally in 84.5 overs where James Neesham scored highest 79 runs for the team. Theo took two wickets for the opponent in the match. By facing some lead, Canterbury chasing strong in their 2nd innings. Top three players did not touch two figure runs but Davidson and Case played very well. Davidson scored 101 runs and Case scored 90 runs for the team. At the end, Allis and Fletcher scored 55 and 20 runs so far. So, by playing 99.1 overs team Canterbury scored 304 runs in their 2nd innings and lost all wickets. Otago could not chase such score but playing 51.3 overs they lost all wickets. They scored finally 170 runs in their second innings. James Neesham scored highest 42 runs for the team. So, Canterbury won by 95 runs in their last match in the tournament.